Ah, Ming Ming and Eason. One is 30 and the other is in their mid-late twenties. So why are they acting like irresponsible children? 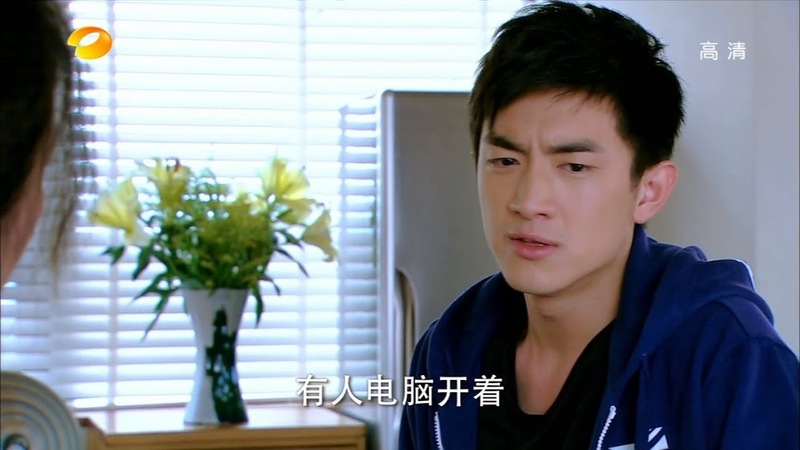 Shao Tian is right to scold Ming Ming about her actions as Qiong Zi is right to scold Eason for his. These two have a lot of growing up to do. Shao Tian is at the studio when he runs into another scriptwriter who has just finished visiting Zhuo. Apparently this writer and Ming Ming debuted about the same time. After speaking to him, Shao Tian goes home and asks if Ming Ming has met her episode deadlines. Ming Ming replies she already handed in episode 7. What about episode 8? Does she need help from a famous scriptwriter’s son? Ming Ming then says that she is seriously considering dropping the drama thanks to Zhuo’s changes and Fang Meng being killed off. Shao Tian immediately calls her immature for dropping the drama solely for Eason’s sake. Ming Ming replies she’s not immature and that this is the only thing she can do for him. Right. Nothing says ‘I love you’ like sabotaging your career for the one you love. Shao Tian then reveals that Ming Ming won’t get the chance to quit as Zhuo is already looking into hiring a different scriptwriter to finish the drama. Ming Ming doesn’t care as she feels it is no longer her drama any more. Again, she needs a good scolding and wake up call. Her attitude could potentially destroy her ability to get another job as a scriptwriter. Eason films one of his last scenes for the drama in which he asks Ouyang Cheng to look after Mei Gui when he dies. Dr. Wu agrees and cut is called. Ouyang quickly leaves to catch his flight despite Eason asking to refilm the scene as he believed the emotions weren’t quite right. Eason and Qiong Zi then go to meet with an influential businesswoman about Eason becoming the spokesman for a new brand they are launching. Right from the get go, I sensed something off about this woman, but I was somewhat surprised at just what she proposes. The woman sends Qiong Zi back into the restaurant to find her car keys so that she can proposition Eason. If he’s willing to spend some private time with her, then she will ensure he becomes the new product’s spokesman. Disgusting. Of course, Pei Ni witnesses Eason’s utter humiliation. He immediately goes off on her about that being his reality. He wishes her luck and hopes she remains a big enough star so that she never has to consider selling herself. Wow. Way harsh, but you know if he didn’t say anything, I’m sure Pei Ni would have had another misunderstanding thinking Eason really did sell himself to get jobs. Eason runs off with Qiong Zi chasing after him. Pei Ni looks a bit distraught. We soon see why. Looks like she’s meeting her arranged date again. Looks like this guy will not give up. Pei Ni believes she has no right to look down on Eason for what just happened since it’s essentially the same for her, except hers is buying a good future by marrying a rich husband instead of taking up a rich woman on her proposition (of course, Eason has no intention of stooping that low). 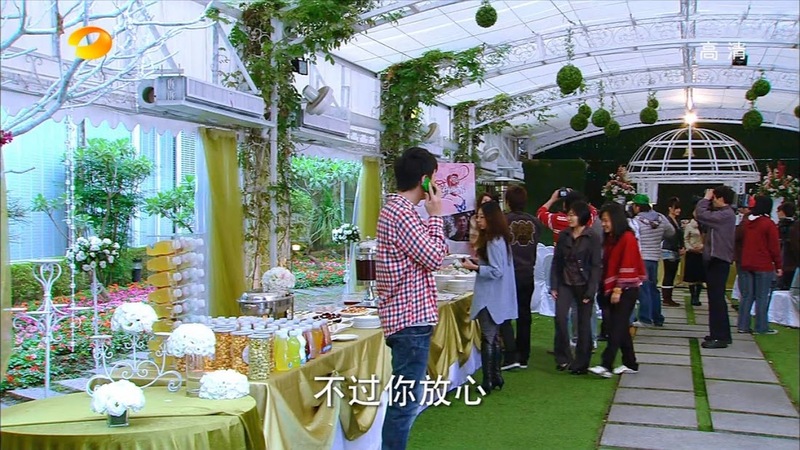 Pei Ni tries to blow off the dinner with the man, his friends, and her mother, but is unable to. Meanwhile, Ming Ming tries to contact the upset Eason to no avail. The next day Eason films Fang Meng’s death scene. And that’s it for him. After what happened the other night and now his filming ending, Eason is one unhappy camper. Pei Ni tells him it was a pleasure to work with him and talks about how much he improved. As she is about to say something about working together again in the future, Eason cuts her off. Enough. Pei Ni is the reason he only got seven episodes as it is, so there’s no use for pity or condescension. Eason then heads to the changing room where Ming Ming awaits. She talks about the spokesman meeting (Qiong Zi told her about it) and this just ups Eason’s frustration level. He snaps at her, especially when she says she’s quitting the drama as well. He also tells her to stop apologizing to him as that makes him feel utterly worthless. Ming Ming doesn’t know what to do, the only thing she can think up is stay by his side and support him the best she can. Ming Ming is at home writing a resignation email to Zhuo when she rushes out the door and we get a typical (and rather stupid) scene where she’s running down the street to get to Eason. At the same time, Eason is writing a letter of apology to Ming Ming. Yes, he does like her now, but he cannot forget that he originally got close to her to preserve his character. He apologizes to her for this and tells her to basically give up on him. He leaves this letter on his coffee table and leaves. Oh, and this just happens to be the day before the big press conference which contains a special preview of the drama’s first episode which will air the following night. Way to be responsible, kid. Although…does Eason really owe the studio anything? Not really, but it is highly unprofessional to pull a stunt like that and will look really bad if it snowballs into a big issue when Eason’s trying to recharge his career. Qiong Zi comes home and finds Ming Ming outside the door. Ming Ming explains that Eason isn’t home. Qiong Zi unlocks the door and sure enough, Eason is gone. So is his letter to Ming Ming. What’s up with that? Qiong Zi reports to Zhuo that Eason is missing and tries to get the PD to delay the conference, but it’s rather impossible to do so. Meanwhile, Eason checks into a inn in the country while Pei Ni gets an expensive diamond necklace from suitor Bao Kang as his woman should look good for her last drama. How annoying and presumptions. Pei Ni is definitely NOT happy to hear that Bao Kang wants her to give up acting in the future. The press conference starts and Zhuo apologizes for the missing lead actor. However, like always, she basically says it’s enough to have leading lady Pei Ni there. Shao Tian calls up Ru En asking why she isn’t there. Ru En replies she has something going on, but promises an exclusive the next day about the drama. Shao Tian is wary about this, but can only wait and see what tomorrow will bring. Later the drama airs. Everyone watches the first episode save Eason who only glances at it before going unhappily to his room. The clerk recognizes him as Fang Meng and takes a quick picture. Trouble? The ratings are delivered. How did they do? They broke 4.2% taking the lead for the time spot (in case you don’t know, for Taiwanese dramas 4.2% is actually rather high as most idol dramas rank in the 0-2% range half the time). Shao Tian then tells Ming Ming he canceled her email to Zhuo resigning. He now has good and bad news. The character of Fang Meng and Eason in general is very well received; however, Ru En broke the news about Ouyang Cheng replacing Eason halfway through the series. This is definitely troublesome. A press conference is held again, but Zhuo will neither confirm Ouyang’s commitment nor Eason’s character being killed off. Eason wakes up still oblivious to his success. He goes downstairs where the clerk asks if he is really Eason who plays Fang Meng. She then takes a picture with him and uploads the story to her blog. She then compliments him on a job well done. The clerk then shows him the newspaper article and asks if it is true Fang Meng will be killed off. Poor Eason, it’s like rubbing salt in his wound. The worried Ming Ming tries contacting Eason again, but can’t get in touch. She then continues reading comments on the show’s site and sees the one the clerk posted. We all know Ming Ming will rush off to find Eason. Back at the inn, Eason’s fans find him and he decides he needs to leave and not allow anyone else to find him. The clerk tells him she’s already started a petition to boycott the drama if his character is officially killed off. Eason warns her that will do him no good and takes off. Meanwhile, Qiong Zi goes to Ming Ming’s apartment hoping to find Eason only to find Shao Tian. Qiong Zi looks very surprised to see him and that he’s made lunch for Ming Ming. Shao Tian calls her out on Eason’s using Ming Ming, but Qiong Zi assures him that Eason really does like Ming Ming. Of course, Shao Tian doesn’t buy this. Qiong Zi then asks for his help as what will happen now that they’ve broken 3% already as Eason promised to run naked if it happened. LOL. I can’t believe she seriously had that printed. Eason goes to the beach and wishes he could disappear into the ocean. Great. Nothing like nearly suicidal thoughts. Ming Ming arrives at the inn and learns she just missed Eason (who went swimming with his clothes on and is changing in the woods). Ming Ming goes out in desperate search while Eason checks his messages on his phone and sees they are all from his mother and Ming Ming. Of course, he won’t return any of their calls. Night falls and Ming Ming finds Eason sitting alone at a food stall eating soup. Eason turns and sees her and she immediately starts crying. Didn’t she tell him to never disappear on her? The two end up at the beach and Eason is very happy that she came to find him. Does this mean she forgives him? Of course, Ming Ming didn’t see the letter so she has no idea what Eason is talking about. Eason decides to conceal the truth once more then as he doesn’t want to ruin the moment. It was a rather nice, if not fairly typical, scene between our two leads. Back in the city, Eason’s popularity has exploded to the point that the studio is a bit worried about Eason being replaced even if it is by Ouyang Cheng. However, the exec says he trusts Zhuo’s professional decision. Zhuo is horrified to hear that the studio wishes to quickly sign Eason for a new drama and that other studios are sending love calls Eason’s way as well. Zhuo conveniently forgets that she didn’t want Eason to begin with and was the most insistent on Eason’s departure. She takes credit for Eason’s popularity and immediately goes to find Qiong Zi to arrange a meeting with Eason to discuss his future with her drama. 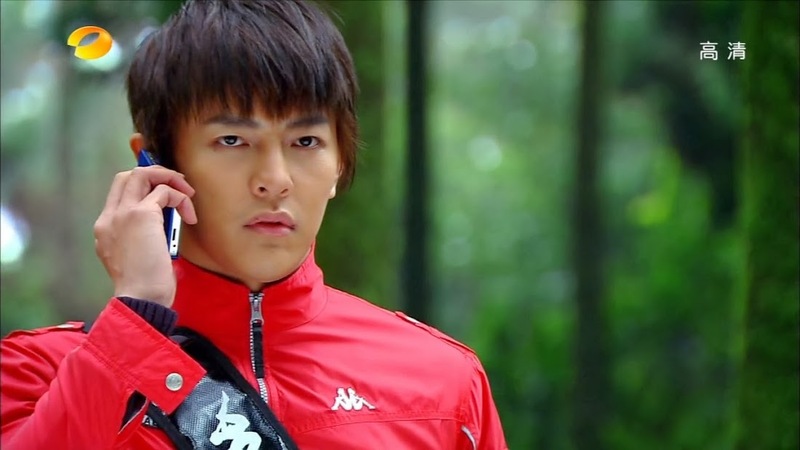 At this time, Qiong Zi gets a call from Shao Tian saying he has found both the missing Ming Ming and Eason. In the woods, Eason wakes up first. He’s happy to have Ming Ming in his arms at that moment. Later the two are walking hand-in-hand when Shao Tian and Qiong Zi pull up. Qiong Zi immediately berates Eason for leaving without telling her and warns him he’s not allowed to do so ever again. Ming Ming asks how they were found and Shao Tian says that Ming Ming always forgets to turn her computer off, so he browsed the last page she visited and figured she’d go to where Eason was spotted. We end with Bao Kang and Pei Ni. Our leading lady keeps trying to make it very obvious that she wants nothing to do with Bao Kang, but he won’t take the hint and, of course, Pei Ni’s mother is all for such a great match. Pei Ni even returns the expensive diamond necklace saying it is not hers as she did nothing to earn it. Bao Kang then takes Pei Ni and her mother to a house built by his firm. It’s expensive and ostentatiously decorated. Bao Kang says the décor will remain the same until the house has its mistress. Pei Ni’s mother is touched while Pei Ni is definitely less than thrilled. And that’s where this episode ends. I sincerely hope that Pei Ni finds a worthy match for herself. It’s kind of hard to read this Bao Kang guy, but I’m not 100% liking his throwing around of his wealth and his insistence that Pei Ni won’t be acting anymore if they marry. It’s completely disrespecting her dream and her hard work. Plus…this man hasn’t even watched her in her latest drama and only promises to never miss an episode only after she asks his opinion of it. Oh and by the way, Bao Kang doesn’t get any better from here on out. He has no redemptive quality and is only using Pei Ni to boost his ego. I hope that both Eason and Ming Ming grow up a bit by the end. I fell sooo behind on this drama. I had a feeling Bao Kang was a useless rich guy looking for a trophy. I’m about 6 eps behind now. I think I will probably skim the rest of the episodes if the pace does not pick up soon.